International economic integration is not a recent phenomenon; its roots can be traced back to the Roman Empire. This informative volume departs from the conventional short-term analysis and takes a long-term view of the process, offering perspectives that are both detailed and diverse. 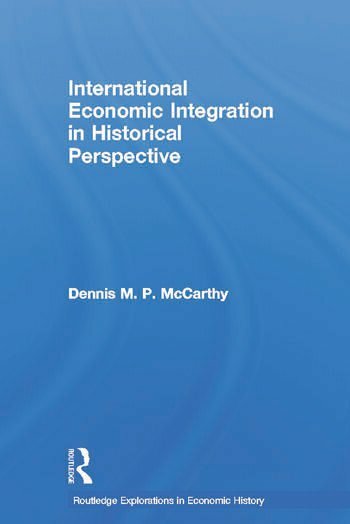 Author Dennis McCarthy examines seven types of organizations that exemplify international economic integration (colonial empires, merchant associations, religious empires, criminal empires, free trade areas, customs unions and common markets), and representative examples of each type are analyzed in a comparative framework. Timely and unique, this book demonstrates that international economic integration is an economic and political process that also involves political economy. With an introduction defining key terms and concepts; a retrospective summarizing the main insights, and endnotes and a detailed bibliography offering readers ways to pursue these topics further, McCarthy’s book will prove indispensable to students and general readers who wish to gain a firm understanding of international economics and the processes that shape the world today.